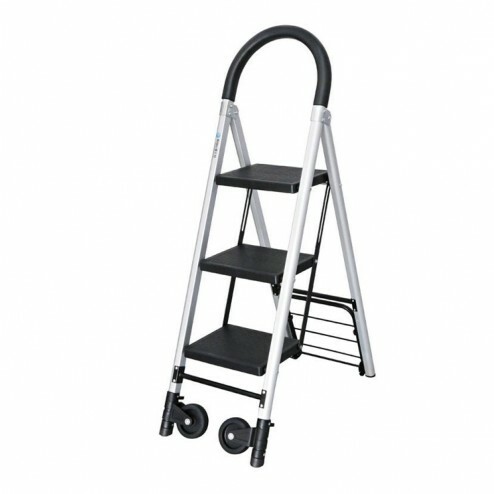 These hand truck steps are convenient and practical. 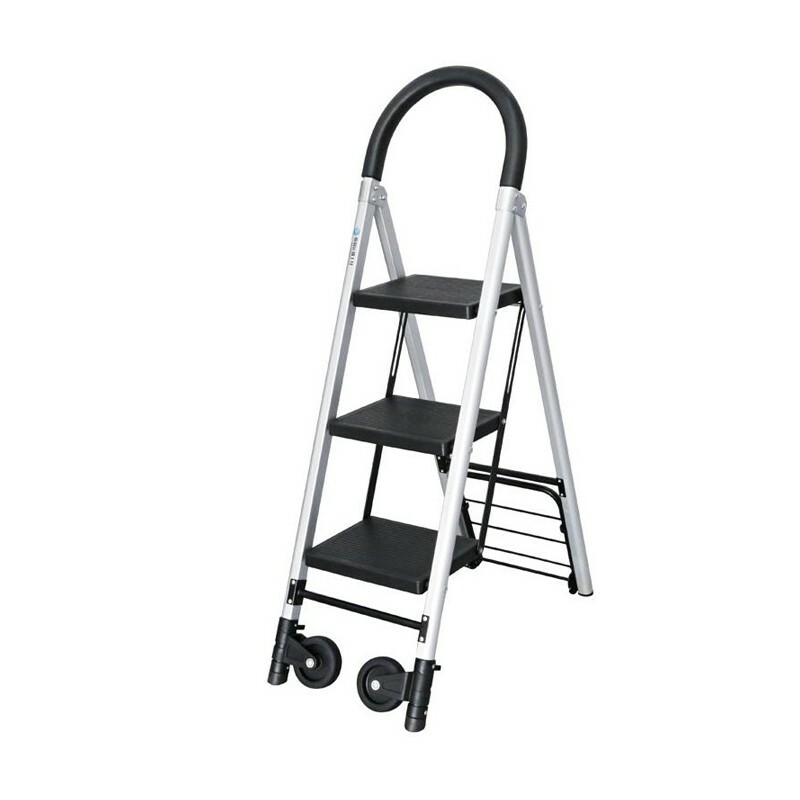 If you’re looking to shift large weights on occasion, or you need a set of step ladders every now and then for general tasks, this two in one set is exactly what you need. 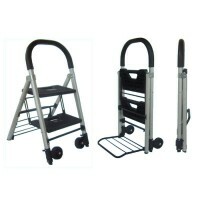 These hand truck steps come with a lightweight aluminium frame – and they’re really easy to pop up, and just as easy to fold away. They require very little room for storage when folded down. 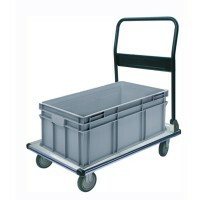 As well as easy storage this item is extremely portable – it fits easily in the boot of most cars. 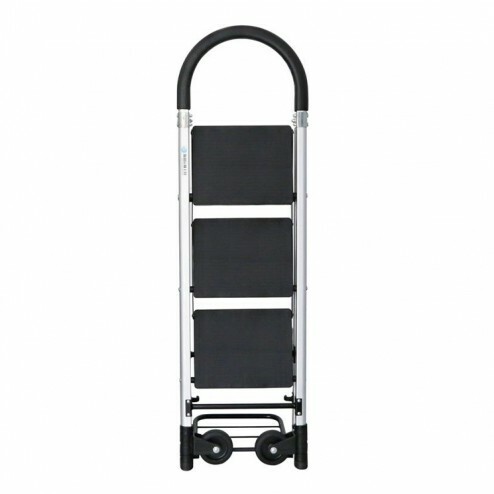 When moving things around with these hand truck steps you’ll be pleased to know that they can take weights of up to 90KG. 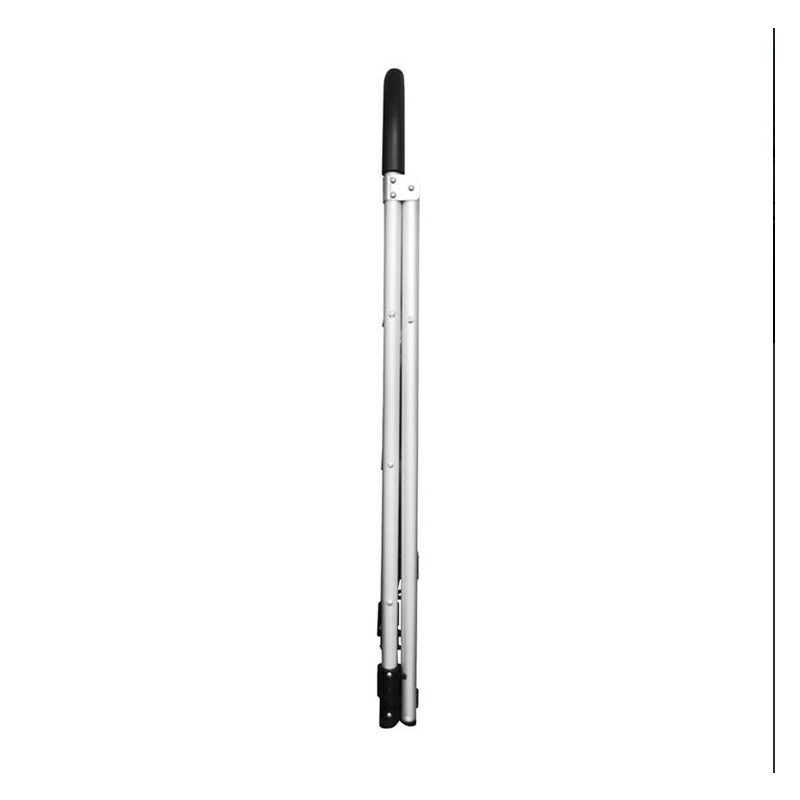 When using this item as steps, there are three steps for you to use. There’s a comfortable sponge handle grip for you to hold on to. 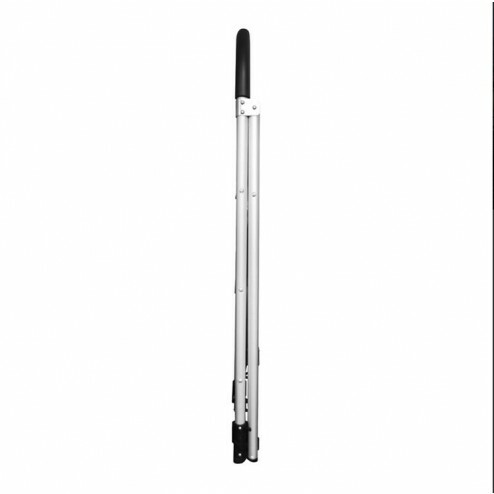 This item is ideal for small businesses – if you need access to high shelves to stock up, or if you need to get large boxes of stock from one side of the stock room to the other. 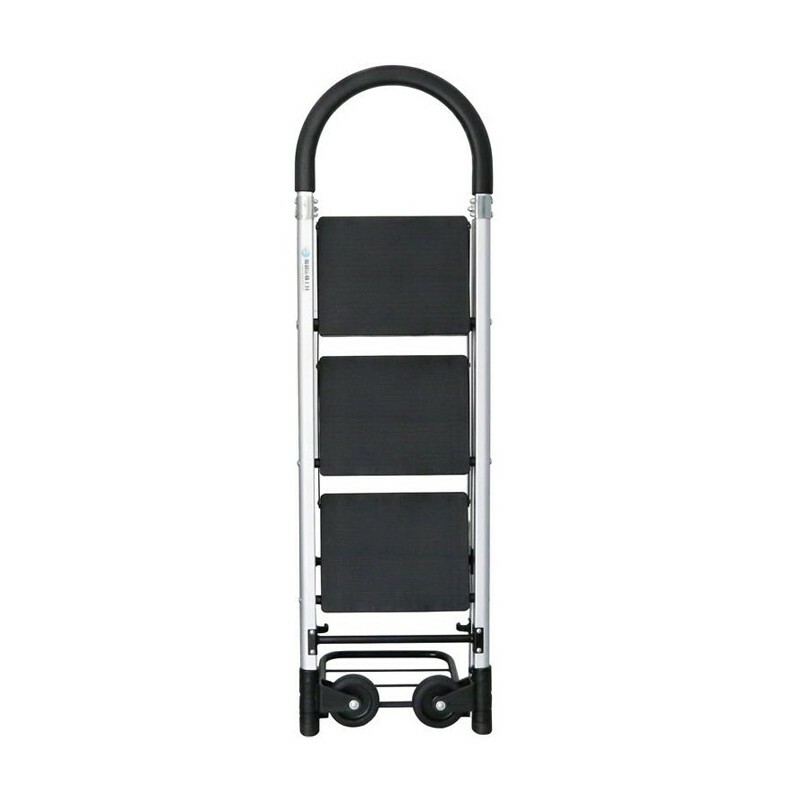 Don’t put your back out – grab a set of these hand truck steps instead! We’ve got them in stock and ready for next day delivery, so what are you waiting for? Looked for one everywhere and everything I found was well over the £120 mark. This was around £45 so I didn't expect much. Turned our to be exceptionally well made and quickly delivered. Would recommend.